Martin Sharp, Roundhouse UFO, 76 x 50 cm., silkscreen print in gold, silver, and dayglo pink and orange inks on white stock. Osiris Agency Ltd., OA120, London, September 1967. Undoubtedly one of the most stunningly psychedelic and rarest of Australian artist Martin Sharp's posters from the 1960s is that produced for the final two concerts held at the Roundhouse UFO venue in London during late September 1967. Promoting the appearance of bands such as Dantalians Chariot, Ten Years After and Jeff Beck, and performance artists Mark Boyles, David Medalla and Contessa Veronica, the work is an amazing expression of psychedelic colour, imagery and sound. As was recently noted in a survey of British graphic design since the 1960s: Sharp's imagery, seen in his Roundhouse and Dylan posters, has an electrifying graphic intensity that few products of the design business could match. Sharp does not advertise a lifestyle; he exhibits a state of mind (Poynor 2004). At the top of the poster is a single eye amidst an explosion of stars. Below this somewhat alien image is a side view of two large orange lips - perhaps a reference to Mick Jagger of the Rolling Stones - with the representation of sound being emitted in the form of zig-zag electric lines. Underneath is the surreal body of a musician playing a guitar and with circular, spaghetti-like whorls of sound emanating from an old His Master's Voice-type speaker at the rear. Two pink love hearts decorate the lower sections of the work, alongside details of the performances which took place at the UFO club on 22 and 29 September 1967. All the original artwork was hand drawn in black ink by Sharp in his characteristic style. Throughout the poster the background and foreground layers of colour are graded and blended, making this one of the most technically accomplished and visually engaging posters of the period. When billposted around London, it undoubtedly achieved the artist's aim of attracting attention to the forthcoming UFO events. Photograph from a shoot for The Observer magazine, Times of London, December 1967. The UFO club came about really as an attempt to transfer the pyschedelic experience - what that means is, if you have taken LSD - to transfer that into a form where people would recognise it and respond to it in the framework of a nightclub. So UFO used to happen on Friday nights, all night, once a week in a club in Tottenham Court Road. John "Hoppy" Hopkins interviewed for 'Groove Grove Graphics', 2010. Source: YouTube. The combination of music, light shows, performance, macrobiotic food and psychedelic drugs made this all-night venue a popular attraction for young Londoners, including visiting Australian artist Martin Sharp, who were alive to the scene during a period now generally referred to as the Summer of Love. Nevertheless Boyd and Hopkins were not able to put UFO on a sustainable financial footing. Hopkins was forced to serve a 6 month prison sentence for cannabis possession during the latter half of 1967 and this, in combination with the need for a larger, more permanent venue, resulted in the closure of the club following the event on 29 September 1967. Pink Floyd with Syd Barrett at the UFO club, London, circa 1967. During its short life the UFO became a hot spot for psychedelia, at a time when Martin Sharp's art was reflecting the influences of hallucinogens such as LSD, marijuana and hashish. After his first experience of LSD at a Pink Floyd concert in late December 1966 - possibly at the UFO club - his pen and ink sketches became more fluid in line, surreal in subject, and intense in overall content. This transformation is also seen in his album cover art for the band Cream, his work for Big O Posters of London, and his art and graphic design for OZ magazine. The poster for the two final UFO shows featured Sharp's unique hand-drawn mix of psychedelic and surreal imagery, printed on white paper with a blended mix of inks ranging from gold and silver in the background through to orange and pink with black highlighting on the text. The printer used was TSR, a firm responsible for many of the Osiris Agency posters produced by Michael English and Nigel Waymouth, otherwise known as Hapshash and the Coloured Coat. The Osiris Agency poster series - of which Roundhouse UFO is catalogued OA120 - mostly featured the work of English and Waymouth, though a few were produced by Mike McInnerney, Greg Irons and Martin Sharp. The series appeared between late 1966 and October 1967, though English and Waymouth continued to work as Hapshash and the Coloured Coat through to 1969. Their posters, album and book covers and graphic designs were quite stunning, both in regards to artistry and innovative production values. Hopkins, in the aforementioned 2010 interview, referred to his and Boyd's initial linking up with English and Waymouth and the artists immediate request for the application of "rainbow printing" to their UFO club and related Osiris Agency promotional work. Rainbow printing was a labour intensive process whereby separate tubes of different coloured paint would be applied simultaneously to, on this occasion, the silkscreen holding the image. In a single motion of the squeegie the inks would transfer to the paper and seamlessly blend or mix at their point of intersection. The result is seen in the blending of the gold and silver inks within the background of Roundhouse UFO and also of the orange and pink inks in the foreground. The London printing firm of TSR had experience in the production of film posters, and were therefore able to realise the artists request for rainbow printing. It was a known technique, though not commonly used. Most of the TSR movie posters were printed by the offset photolithographic process which could produce hundreds or thousands of copies without any deterioration in quality of the printing plates. However the silkscreen process, similar to limestone lithography, could only result in limited print runs of a couple of hundred applications before the silkscreen image would deteriorate. Silkscreening and stone lithography were nevertheless used on occasion as they produced a printed image which was richer in texture and intensity. Artists liked to use these techniques as they could transfer the original artwork directly onto the printing plate, rather than relying on a photographic copy for the reproduction. They could also have control of the supply of ink, such that each print was in fact an individual artwork and different from the previous hand-printed copy. On the other hand, the process of offset photolithography relied very much on the talent and skills of the printer to realise the artist's original ideas and design, with the latter often somewhat removed from the final printing process. 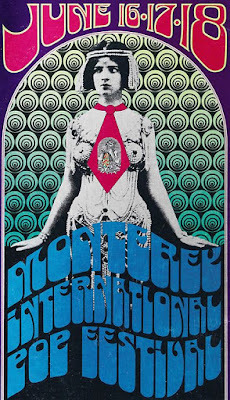 In San Francisco during the period 1966-8 young artists worked very closely with printers to produce a series of stunning posters for concerts at the Fillmore and Avalon Ballroom using the offset photolithographic process. Their results were often psychedelic and relied on the juxtaposition of certain colours in the spectrum - such as red and blue - to produce an optically vibrating effect. The English Waymouth and English preferred to use colour in a different manner, through blending. Their palette also varied, with pink, yellow and gold dominant and the application of dayglo inks, whereas the Americans often preferred to use ordinary, though brightly coloured inks. The results in both instances were visually vibrant and eye-catching. The very first weekend that UFO happened, all we did was we printed little fliers, black and white, and we handed them out on Portobello Road, and that's how we got the first crowd. Hoppy and I agreed we would do a poster, and I said, "Well I know a guy who could do the poster", because I had this friend called Nigel Waymouth who ran Granny Takes a Trip boutique and he did all the graphics for Granny Takes a Trip and it was very trippy and Aubrey Beardsley kind of pastiche. And then Hoppy said, "Well I've got a guy. He's done a lot of stuff for International Times and, you know, he's really good." And this was so Sixties, you know, that Hoppy and I each had a guy, and instead of getting into an argument about it, we just put them together. "OK, well let's lock them in a room and tell them not to come out until they've got a poster." And they'd never met each other. And so that was how these posters got created. And they called themselves Hapshash and the Coloured Coat and they made all these posters, and they insisted, because they were artists and they had their own views, they said "We're going to do silkscreen." And we said, "OK, fine, you know, whatever." And of course what we discovered was, that with silkscreen you know that after every few hundred posters you have to make new screens. so there was no reduction in cost for higher quantities. So at first, what we just did, was we just did a couple of hundred and had them fly posted. And that was pretty much all we did, for a while. And then, at the time, and it's probably still true, fly posting was a racket. You know, it was very connected with the criminal world, and there were people who kind of, quote "owned" awnings and you could not, you know, if you just went - because there had been a lot of construction, bomb sites and all kind of things around London in those days, and derelict buildings. There was, in fact, on the Great Western Road, just over the bridge, just north of the bridge, just between the bridge and Harrow Road, there used to be a huge old cinema - I think it was called the Apex; it's gone now, it was torn down - but it was derelict, but it had these huge walls that people fly posted on. And that unless you paid the right person you put up a fly posting there and it would be covered over within 24 hours. But if you paid the right person it would go up and it would stay. And so you had to give it to the right person. And so as the club became more popular, and these posters were considered wonderful, you know people loved them, two things started to happen: one was, people started reporting to us that they had been driving or walking or bicycling late at night and they had seen people out with steam kettles, steaming the posters off the hoardings, so they could keep it and they wouldn't destroy it. So they were actually applying steam to get it off. And we began to see less and less of our posters up, partly because they were being steamed off, but partly because the fly posting crooks discovered that they could sell them to collectors, such as people who just wanted them for their walls. And so we would suddenly see a bunch of our posters in a stall in Portobello, or in some little shop in Carnaby Street and they would be like "Posters for Sale" or "Authentic UFO Posters for sale." And so we decided, OK, we're going to fight fire with fire, so we started upping the run, and running 500, a 1000, 2000, but of course the price doesn't go down with silkscreen so I started going to Nigel and Mike and saying "Can't you do something in litho". And so I started a poster business [Osiris Agency] that was designed to kind of - but the fact that the best posters were all silkscreen meant that it never made any money. This adaption of the traditional rainbow printing process was adopted by poster artists around the world, including some of those in the United States. 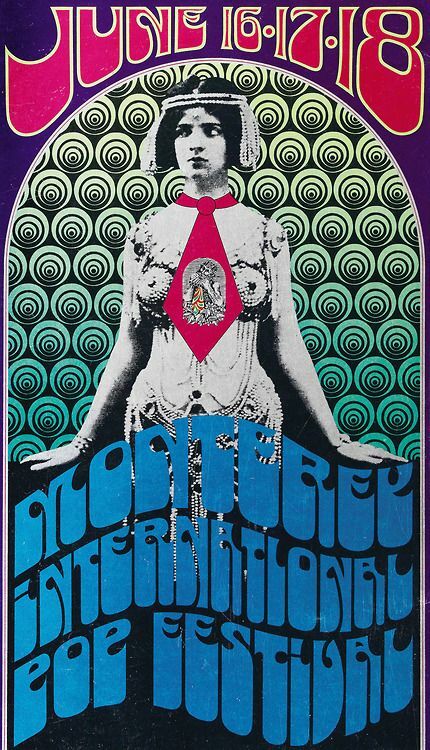 A good example is that produced by artist Tom Wilkes for the Monterey Pop festival in June 1967. Within that poster, which was printed on silver foil on card, the rainbow effect appears as yellow grading to green in the upper and central background behind the semi-naked female figure. Tom Wilkes, Monteray Pop Festival, June 1967. Multicolour ink in foil, 19 x 35 inches. Silkscreen printing was not common in regards to the Avalon and Fillmore posters due to the large print runs. Like Boyd and Hopkins, entrepreneurs such as Chet Helm and Bill Graham soon realised that money was to be made from poster sales. They set up businesses to exploit this and many of their posters were subject to multiple print runs through to the early 1970s. Offset printing facilitated this. The highly talented Australian artist, Martin Sharp, worked mainly for the underground magazine OZ. This is his only poster for UFO but it is an extraordinary visual depiction of the power of music, in particular rock and rhythm and blues. The Exploding Galaxy, founded by the kinetic artist David Medalla, was described in International Times in October of that year  as 'a kinetic confluence of transmedia creators: it exists as continuous contracting and expanding clusters of quaquaversal events. Dancers, poets, musicians, painters, these are the Exploding Galaxy...It is committed to the sensory activation of man's inner and outer environment'. Among the musicians it worked with were Arthur Brown, Graham Bond and the Soft Machine." Martin Sharp, Roundhouse UFO, 1967. 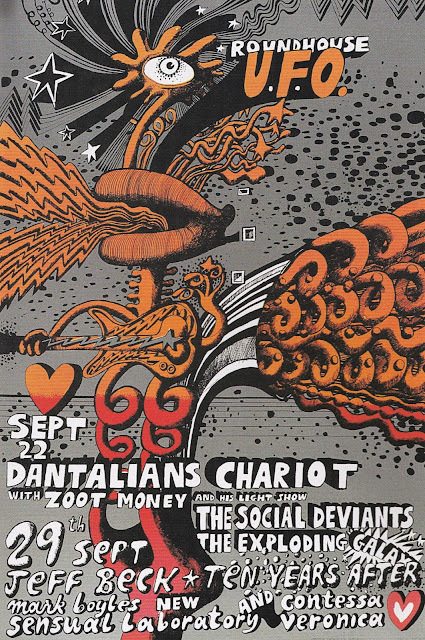 Sharp's UFO poster promotes the appearance on 22 September of Dantalians Chariot featuring singer and keyboard player Zoot Money and guitarist Andy Summers, later of The Police. Support The Social Deviants featured Mick Farren and were a pre-punk hard rock band. For the second concert on 29 September the double bill featured Jeff Beck, who have formerly been with The Yardbirds, and Ten Years After, who later found fame at Woodstock. Also on the bill were Mark Boyles New Sensual Laboratory and Contessa Veronica. Being an all-night venue, the UFO was able to accommodate a mix of live music, light shows and performance pieces. Bands could engage in extensive improvisation under the direct or delayed influence of drugs, whilst audience members, similarly affected, participated in a "happening." This was very different to a traditional sit-down concert experience as they would encounter a variety of sensory stimulations and engage with elements of the burgeoning counterculutre. Poetry readings, performance, light shows, film, art and music were mixed as audiences danced, imbided and watched from dusk until dawn. Martin Sharp's poster marked the swansong of the UFO club - the concerts of 22 and 29 September 1967 were the last staged. An advertisement for October 1967 Friday night concerts was published in International Times, however these never took place. It is interesting to note that the advertisement includes in its top half a very Martin Sharp-like collage. UFO advertisement for concerts 6 - 20 October 1967. The original Roundhouse UFO poster was printed in gold, silver, black and dayglo pink and orange inks on white paper stock. Size was the standard 20 x 30 inches / 50 x 76 cm. It was signed by the artist in the work along the lower right edge: Martin Sharp. The printer's inscription along the bottom right edge read: Printed by TSR / OA120 / C1967 Osiris Agency Ltd 90 Westbourne Terrace W.2. / Martin Sharp. Text included within the body of the work read: Roundhouse U.F.O. / Sept 22 / Dantalians Chariot / with Zoot Money and His Light Show / The Social Deviants / The Exploding Galaxy / 29th Sept / Jeff Beck * Ten Years After / Mark Boyles New Sensual Laboratory and Contessa Veronica. All the artwork and text was hand drawn by Sharp, with only the printer's inscription type set. As far as is known, the poster was only printed once by TSR in 1967 for the original gigs. The number of copies produced during this original print run are not known and were most likely constrained by Boyd's difficult financial situation as he juggled management of the Witchseason production company, the UFO and the Osiris Agency. Roundhouse UFO has only been the subject of reprints in association with books and articles. One of the first was as a low quality, black and white reproduction on page 14 of the 1970 book Underground Graphics. Another was in 1976 as a full-page illustrated plate in Mick Farren's rock poster book Get on Down! Therein the size was half the size of the original at 10 x 15 inches and printed using offset photolithography. Though the print quality was good, the background was a plain silver ink on paper, rather than a blended gold to silver rainbow printing. Also the application of the orange and pink (now red) was not graded, but separately applied. The Get on Down version of Martin Sharp's Rainbow UFO poster from 1976. The poster has been illustrated in a number of rock art and poster books, auction catalogues and related publications. More recently it has appeared on the internet in association with personal websites and blogs. Therein the poster has often been described as a "silkscreen print on foil", though in fact it was not printed on foil. TSR made use of metallic inks for the gold and silver background, giving the effect of a printing on foil. This was unlike the many foil posters Martin Sharp produced with Big O Posters of London during 1967-8. A good example is the famous Bob Dylan Blowing in the Mind poster which was printed in red and black ink on gold foil on card and sold in posters shops and by mail order through to the early 1970s. 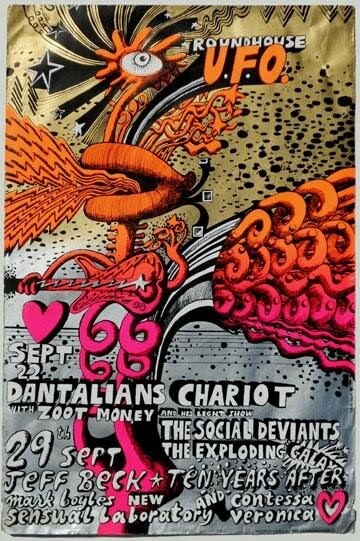 Roundhouse UFO was a gig poster, and primarily appeared in this context, though according to a recent internet forum post by Deepinder Cheema, "the Dantalions Chariot [poster] was Osiris and could be bought from Goodge St". 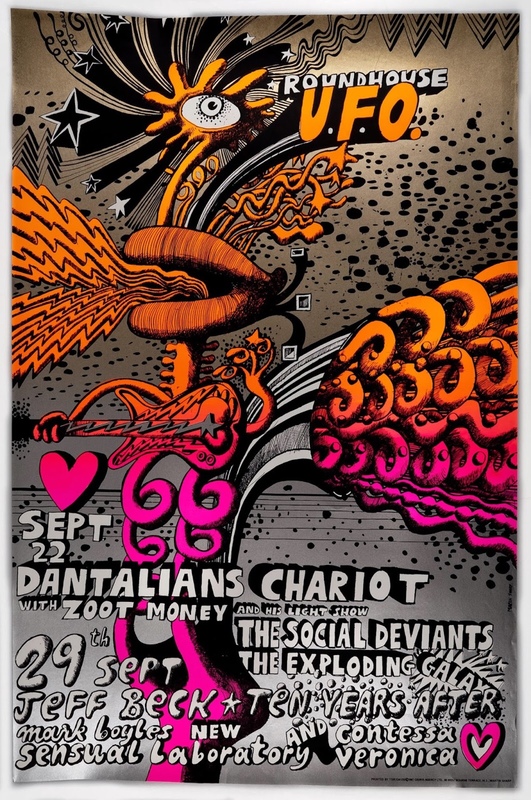 As a single print, silkscreened gig poster, rather than a reprinted commercially available Head Shop item, and subject to the financial constraints of Boyd and his partners, the number of copies produced may only have been in the low hundreds, rather than the thousands, or even tens of thousands seen for posters such as Blowing in the Mind. Surviving copies are rare as it was normal for such posters to be pasted on street awnings and billboards. They were also often treated roughly by fans who placed them on bedroom walls. Whilst some pristine copies are known, so too are damaged originals with tears, folds, coffee and sticky tape stains, and other signs of usage. A genuine original copy is therefore rare, reflecting the fact that such posters were ephemeral and never intended as collectibles, though the quality of productions such as Roundhouse UFO meant they were quickly recognised as such by collectors and fans. Copy of poster sold on eBay October 2015. Note the folds and torn sections. The poster is now considered a wonderful example of Sixties psychedelic art, and discussed in such context through print, presentation and online. Extract from Lee Harris talk on Blowing in the Mind and Roundhouse UFO posters by Martin Sharp, The Roundhouse for Accidental Festival, London, November 2013. The disembodied eye which features so often in Martin Sharp's art from the Sixties is prominent at the top of the Roundhouse UFO image, backed by an explosion of stars. Reflecting the artist's sense of fun and wit, it is reminiscent of nothing less than the mechanical limb of the alien spaceships from H.G. Wells' War of the World, visualised in the George Pal Hollywood movie of 1953. 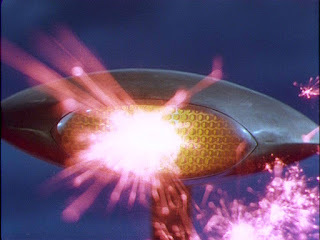 These metallic extensions of the silver manta ray-like machines featured what looked like a single, all-seeing eye able to emit destructive beams of light and energy. Martian space ship, War of the World, 1953. 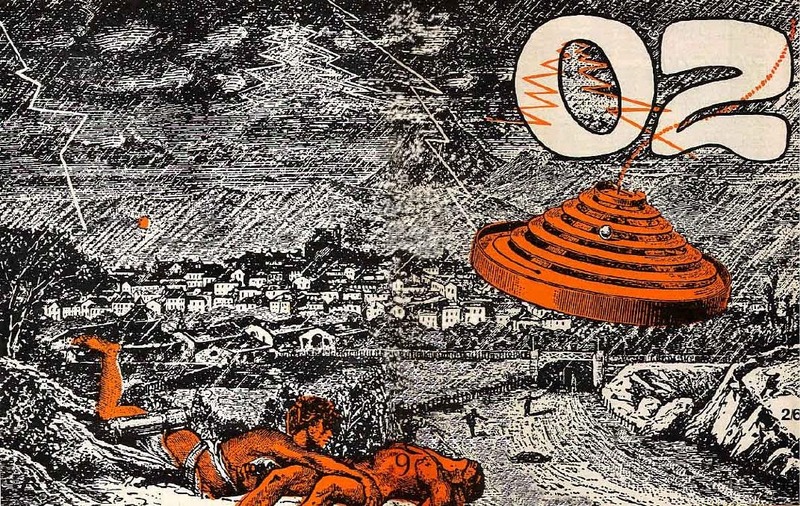 Martin Sharp had a keen interest in UFOs during his time in England between 1966-70, and in 1968 edited a special issue of OZ magazine on that theme, much to the chagrin of his friend and fellow editor Richard Neville. The cover of that issue featured a 1930s Max Ernst collage engraving which Sharp coloured to highlight what appeared to be an attack on a city by a flying saucer. The original surreal image by Ernst never had this intention, but Sharp's interpretation was a logical fit and very much in keeping with the times. During the period there were frequent reports of UFO sightings in Great Britain and rumours surrounding a captured alien at Roswell in the United States. Max Ernst and Martin Sharp, OZ magazine (cover), number 9, 1968. Martin Sharp's Roundhouse UFO poster is one of his most impressive works from the Sixties, both in regards to the original drawing and design, through to its production by Osiris and TSR. Supremely psychedelic and strange, it is like no other artist's work. The influence of Surrealism is obvious but somewhat intangible. 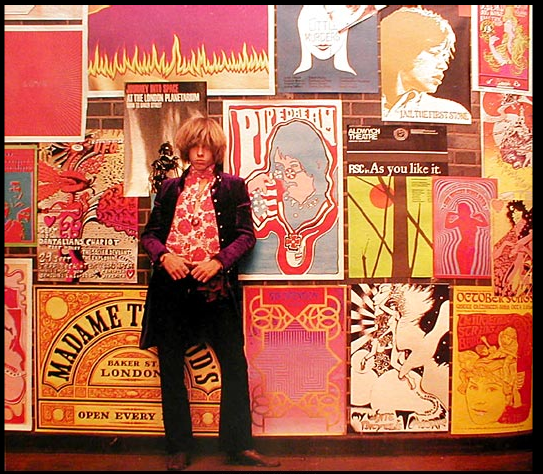 As Poynor noted, the work does nothing less that "exhibit a state of mind" reflecting the influence of hallucinogenic drugs such as LSD and the London scene during the height of the so-called Swinging Sixties. State Library of New South Wales, Sydney - http://acms.sl.nsw.gov.au/item/itemDetailPaged.aspx?itemID=903612. Victoria and Albert Museum, London - http://collections.vam.ac.uk/item/O195207/psychedelic-poster-for-two-shows-poster-martin-sharp/. Christies, London, 27 April 2000, £2111. Van Sabben, Netherlands, November 2008, Euros 3,840. The Heart of Rock and Roll, September 2015, US$10,000. Mint condition. Ebay, London, October 2015, £2,439. Poor condition. Boyd, Joe, White Bicylces - Making Music in the 1960s, Serpent's Tail, 2006. Cosmic Visions: The amazing poster art of the UFO Club - London's psychedelic dungeon, Dangerous Minds [blog], available URL: http://dangerousminds.net/comments/cosmic_visions_the_amazing_poster_art_of_the_ufo_club. Accessed 20 October 2015. Farren, Mick, Get on Down! A Decade of Rock and Roll Posters, Demsey & Squires, London, 1976. Illustrated page 12 (red) and page 41 (full page colour plate). Green, Jonathon, Days in the life: voices from the English underground 1961-1971, Minerva, London, 1989. Haslen, David, Life After Dark: A History of British Nightclubs and Music Venues, Simon & Schuster, 2015. Keen, Graham and La Rue, Michel, Underground Graphics, Academy Edition, London, 1970. 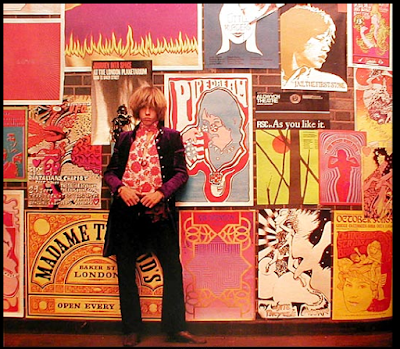 Owen, Ted, High Art: a history of the psychedelic poster, Sanctuary Publishing, 1999, 176p. Illustrated page 117. Osiris Visons Poster Series [website], available URL: http://www.whocollection.com/hapshash_&_osiris_posters.htm. Accessed 19 October 2015. Poster on my living room wall, martyboy2ofBritain, Flickr [website], available URL: https://www.flickr.com/photos/38535102@N04/6755021975/in/photostream/. Accessed 20 October 2015. Poynor, Rick (editor), Communicate: Independent British Graphic Design since the Sixties, Barbican Art Gallery, Lawrence King Publishing, 2004, 256p. Illustrated page 25. Psychedelic UFO Roundhouse Poster!, Syd Barrett Pink Floyd [website], available URL: http://www.sydbarrettpinkfloyd.com/2010/11/psychedelic-ufo-roundhouse-poster.html. Accessed 20 October 2015. UFO Club [webpage], Wikipedia, available URL: https://en.wikipedia.org/wiki/UFO_Club. Accessed 19 October 2015.